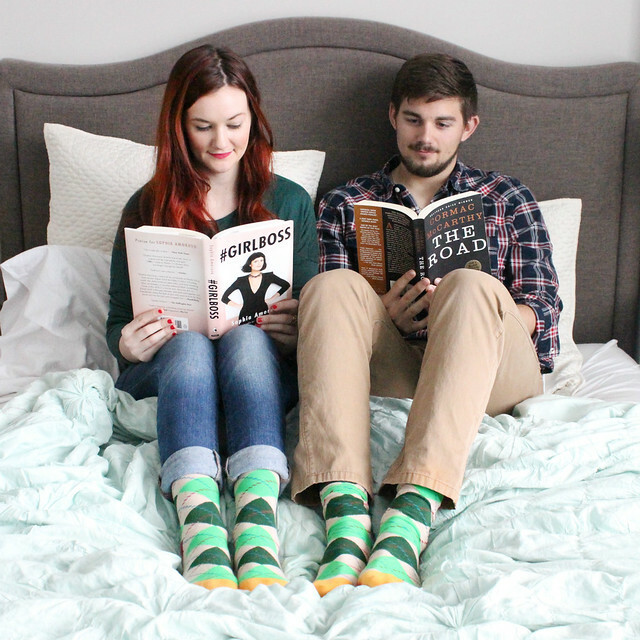 They say that the couple who wears socks together...stays together, right?? Surely that must be a saying. If it's not, I'm making it one now. 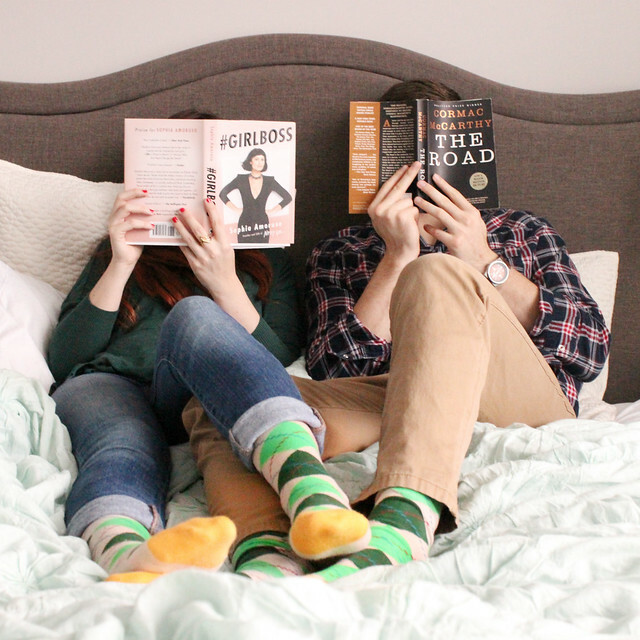 My boyfriend has been a huge fan of Happy Socks for a while now (it's very on trend for guys to have flashy patterned socks), and when I found out they had socks for ladies, too, I was downright giddy. 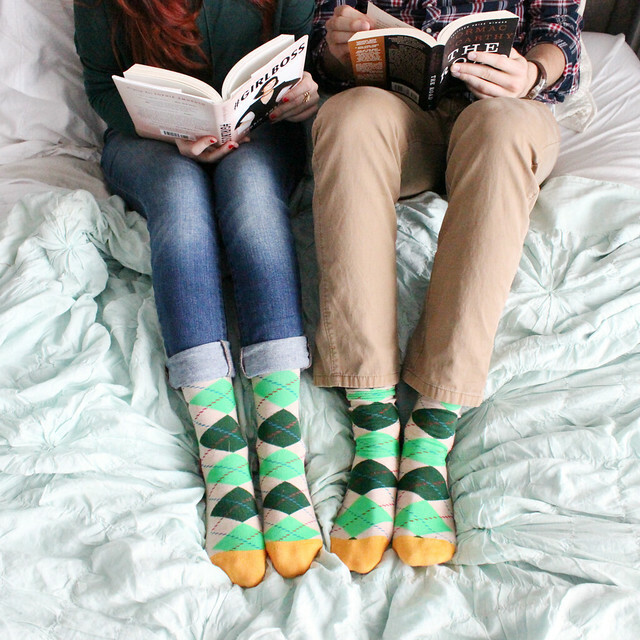 These festive green and white argyle socks were perfect for some holiday weekend snuggling and reading. I love that the socks are not only stylish, but they are warm and durable. Since it gets so cold here in Chicago, I go through pairs of socks like crazy because my boots (snow or otherwise) tend to put giant holes in the toes. I've been wearing these socks with my boots and have yet to see any wear and tear! Plus they are only $12, making them the perfect steal for durable socks! I don't know about you, but it's really hard for me to find some "quiet time" Between running the online store, this blog, and our new retail location - I feel like I'm constantly on-the-go. It's hard to find any time to just relax and find some stillness. Reading has always been a huge passion of mine. It's why I run the Boss Babe Book Club on the blog. Since I pretty much only get to see this handsome guy on the weekends, we've started to try and take some time on Sunday mornings to just relax and read. Our bedroom is so inviting and cozy (tour coming soon) that it's the perfect relaxing space. Our mint bedding is my absolute favorite thing in the room! It's such a serene and inviting color. It makes me just want to cozy up. Sunday mornings have become my new happy space. My adorable Happy Socks do just that...they keep reminding me to make some time for happiness outside of work. I'm incredibly passionate about what I do, so it's easy for me to allow it to consume my entire life, but I'm trying to find time for the happiness that exists in the stillness and cozy time. You can use promo code: HAPPYSPARROW for 15% off your order plus FREE shipping! Of course, Lilly had to be in the picture, too. 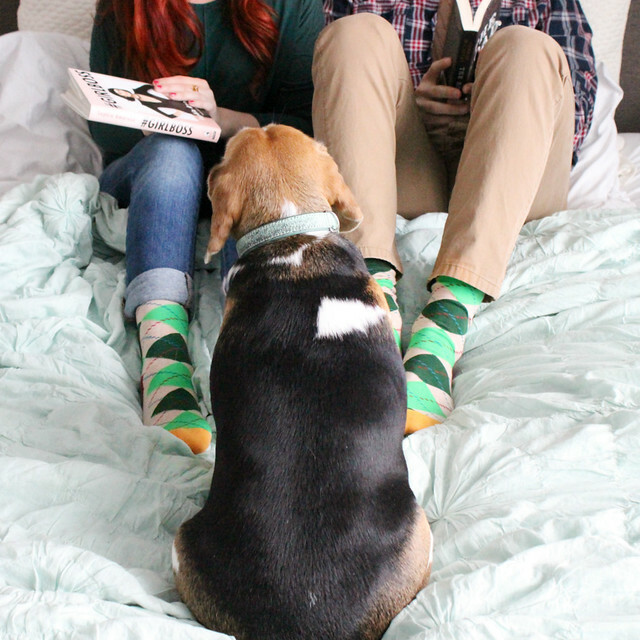 It just isn't photo time without the beagle weaseling her way into a photo shoot. Granted, we definitely had marshmallows and hot cocoa on the nightstand so this is less about her being an camera diva and more about her begging for some noms. Either way, she is too cute as a button to not include in photo/cuddle time.